One of the reasons our L.A. marijuana lawyers advocate so strongly for legalization – both for medicinal and recreational purposes – is that we know safe, legal marijuana allows for regulation and minimizes the black market trade. It also is known to slash the demand for synthetic marijuana, which is unregulated, unpredictable and highly toxic. The story detailed how a Brooklyn hospital was recently flooded with 33 overdoses – people all from the same community – who had to be hospitalized after smoking synthetic marijuana. Many were unable to stand on their own. Some were sprawled helplessly on the pavement. Witnesses likened it to something out of a zombie movie. The drug, which goes by monikers like K2, Spice, Black Mamba, Scooby Snax and Bliss, is nothing like the natural herb that many associated with it. Instead, it’s “synthetic marijuana” is comprised of a variety of chemicals made to copy the effects of marijuana. But in most cases, because no one knows exactly what is in it, the “right” dosing is impossible to know. Synthetic marijuana was first invented in the 1990s by a South Carolina chemist who learned that a group of chemicals could interact with cells in much the same way as THC, the psychoactive ingredient in marijuana. At the time, the chemist wasn’t trying to get anyone high. Instead, he was trying to help ascertain how the brain works. That’s why he had no issue publishing his findings in an academic journal. He even authored a book. However, it didn’t take long before his formula was heisted by those on the black market, and illicit manufacturing began. Still, that wasn’t illegal until 2001 that the U.S. Drug Enforcement Administration (DEA) identified the substance as a Schedule I narcotic. Schedule I drugs have a high potential for abuse and addiction and have no medically redeeming qualities. The fact that this substance and actual marijuana are still in the same class should deeply trouble anyone with even a cursory knowledge of these two substances. Researchers who have studied the similarities between the two drugs found that in fact synthetic marijuana is not only much more potent than actual marijuana, it binds much more efficiently to brain receptors than actual marijuana. Doses of the drug vary wildly, not only from batch-to-batch, but even from the same batch. In many cases, chemicals are sprayed onto plants that are later dried and crumbled for smoking. Ensuring the same amount of the chemical in each bag of crumbled plant matter is impossible. On top of all that, makers of the drug are constantly tweaking the formula, coming up with new chemical compounds constantly. That makes uniformity nearly impossible. Authorities in Brooklyn suspect the culprit of the overdoses is some new formula. 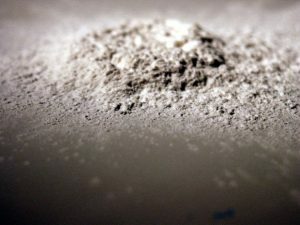 Investigators are working to find a sample that can be tested to learn more about it.